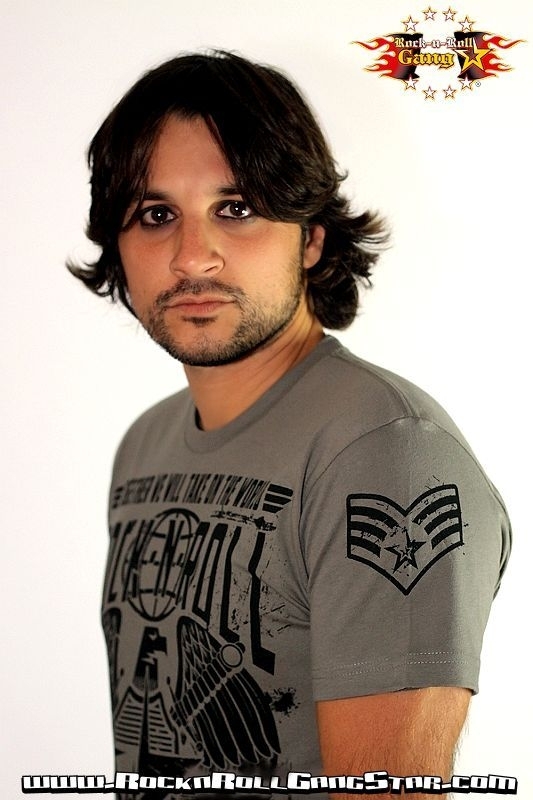 "Alliance" design men's rock n roll heavy metal t shirt. 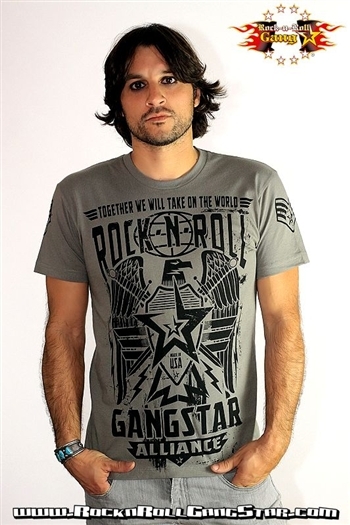 Front print: Metal Eagle with Rock-n-Roll GangStar brand star symbol, shield, & swords. Slogan: "Together We Will Take On The World." 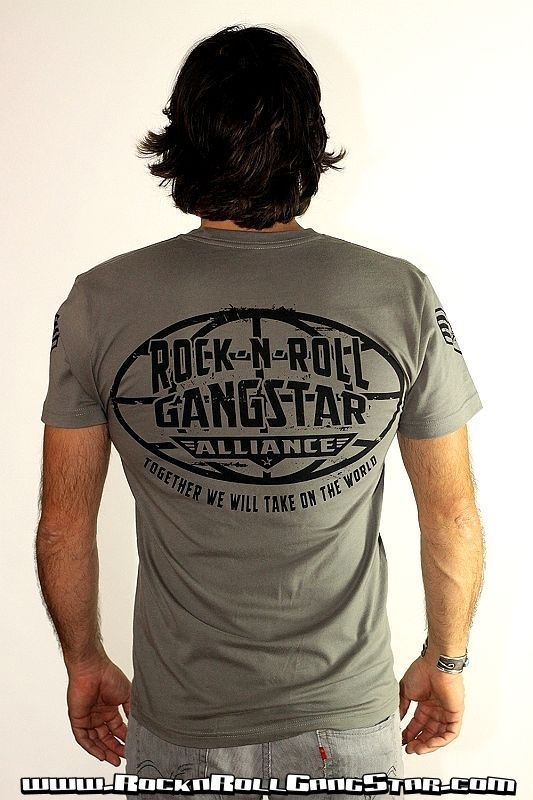 Back print: Rock-n-Roll GangStar Global Alliance design. Slogan: "Together We Will Take On The World." Shoulder prints left & right: Sergeant stripes with Rock-n-Roll GangStar brand star symbol. Awesome Rockin' artwork! 100% combed cotton, super soft feel, lightweight & breathable, slim fit. All discharge ink & totally soft to the touch. Color: Gray.